Congratulations to Elspeth Cameron (at the left in the picture on the right) whose new biography of Florence Wyle and Frances Loring was launched on Sunday at David Mirvish Books. The book—And Beauty Answers: The Life of Frances Loring and Florence Wyle (Cormorant)—is a comprehensive look at the life and times of these two American-born Canadian sculptors. If you haven’t heard of them, that’s not surprising. Canada hasn’t really celebrated its artists—other than the Group of Seven and Emily Carr. 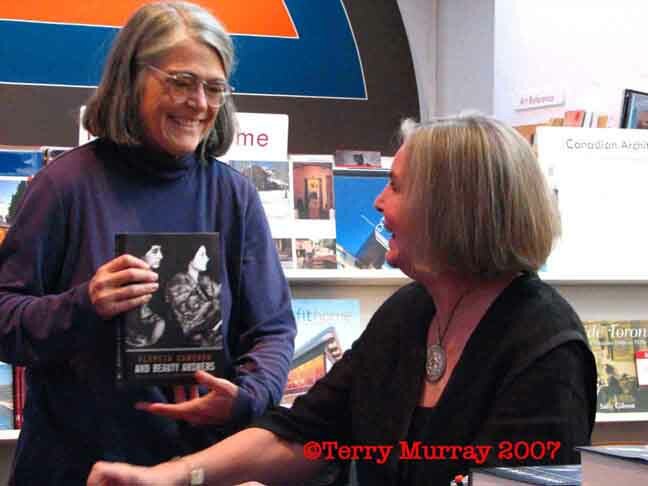 When I discussed my Merle Foster project with Sally Gibson (on the left in the picture on the left), and mentioned that Merle was a contemporary of Loring and Wyle, she told me that Elspeth was working on a new biography of them. 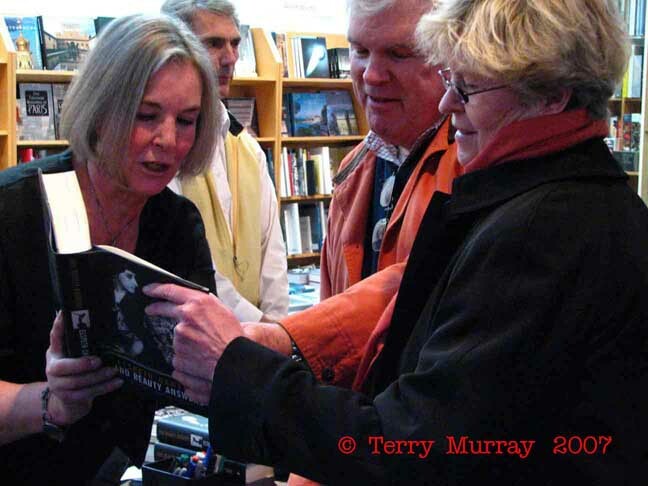 I Googled Elspeth, who I knew was an award-winning biographer of Canadian literary figures, and found that she was giving a talk about Loring and Wyle in April at Rodman Hall in St. Catharines. I contacted her and told her I’d be attending her talk and would like to interview her for my book afterward. She very generously offered to put me up in her home after the talk, and then spent the entire next day discussing Merle, Loring, Wyle, sculpture, sculptors and more with me. When I left, she gave me a copy of her manuscript. That was a big help in organizing my thinking about Merle Foster—and I got to read it months before it was published. Not to take anything away from Elspeth, I should explain who Sally Gibson is. Formerly with the City of Toronto Archives, she’s currently a heritage consultant at Toronto’s Distillery District. She also recently published an award-winning book on life inside Toronto buildings at the turn of the last century (Inside Toronto: Urban Interiors 1880s to 1920s (Cormorant)) which features Merle Foster’s aunt on the cover. Sally’s book won Heritage Toronto’s Award of Excellence and was short-listed for the Toronto Book Award.